This was why we were here. This was why we were in Antigua. 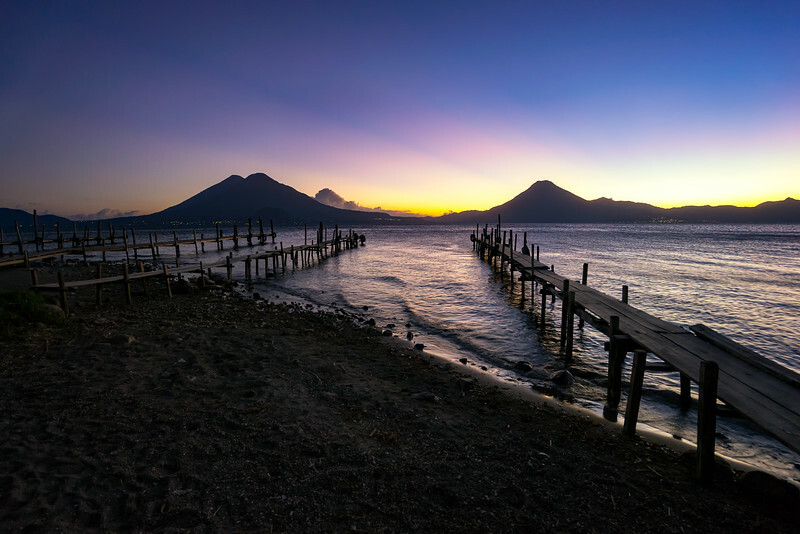 As beautiful and fascinating as the city was, nothing drew us to Guatemala as strongly as the potential to see Mother Nature at its most lively and chaotic. 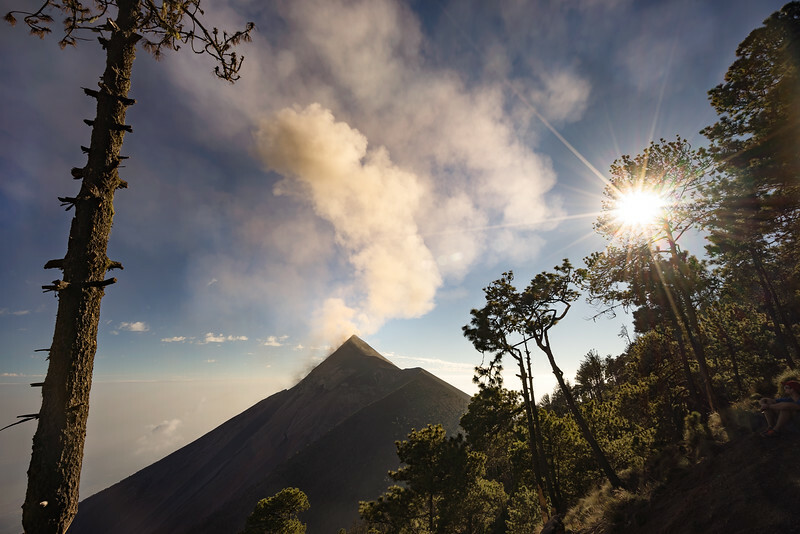 Towering over Antigua, the volcanoes of Acatenango and Fuego were calling our names. Like moths to the flame we had to obey and we organized a fantastic two day hike up Acatenango to hopefully catch the active Fuego volcano erupt beyond our tents. The night before our hike we were already treated to an overwhelming show of molten lava flowing down the side of Fuego, clearly visible even from the city and a resounding boom from the volcanic eruptions that pierced the city every few minutes. Every single second was exhilarating. We just hoped we would be treated to even half the show we saw later that night. Thankfully we weren't disappointed. It was certainly one of the harder hikes I've done and for many others their most difficult, having to hike fairly vertical, dusty, slippery paths. Worst of all, we were ascending to over 3800 meters above sea level, where it felt that every step was like taking 5. Where you felt completely out of breath for simply walking a short distance. But what a hike. The views from the top were so beautiful and overwhelming. Perfectly formed volcanoes towering over Guatemala and then of course there was Fuego, just a short hop from our base camp. While the big show was put on the night before we had ascended. 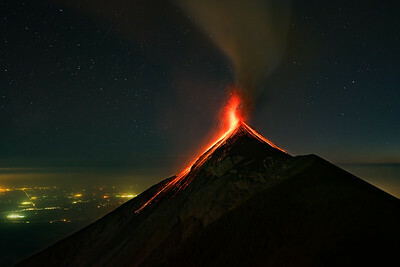 We were still fortunate enough to catch a few eruptions once we made it to base camp. 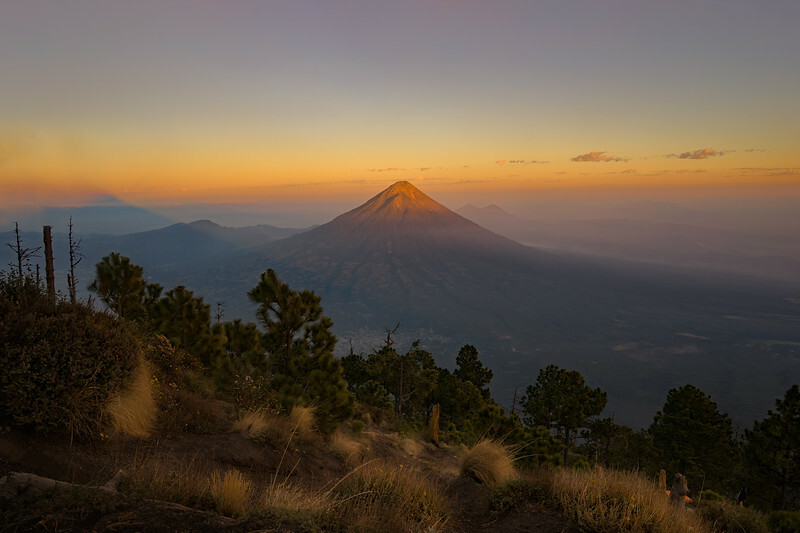 We heard the thunderous booms, the plumes of ash that would rocket into the sky and of course the bright orange lava that would flow down Fuego's face. It was a well and hard earned hike for a special night of natural fireworks. A plume of ash erupts from the volcano Fuego and what sounds like thunder could be heard all around. 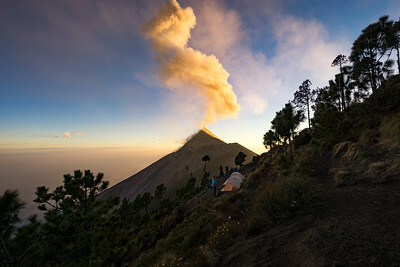 Watching this wonderful act of creation and destruction up top from our campsite on Volcano Acatenango. 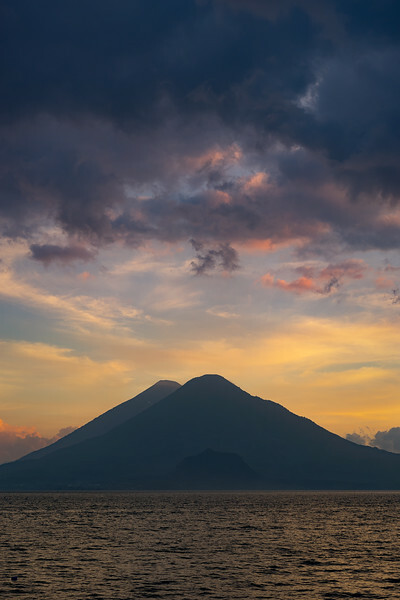 The magnificent, almost perfectly cylindrical inactive volcano near Antigua, Guatemala. 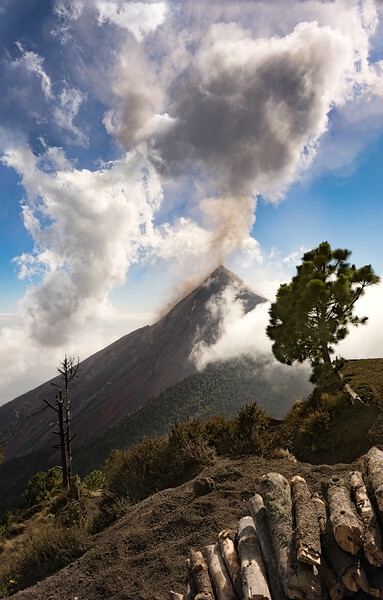 The active volcano Fuego giving us a daytime show from our campsite a few kilometres away on volcano Acatenango. Dormant volcanoes above the majestic Lake Atitlan, Guatemala. 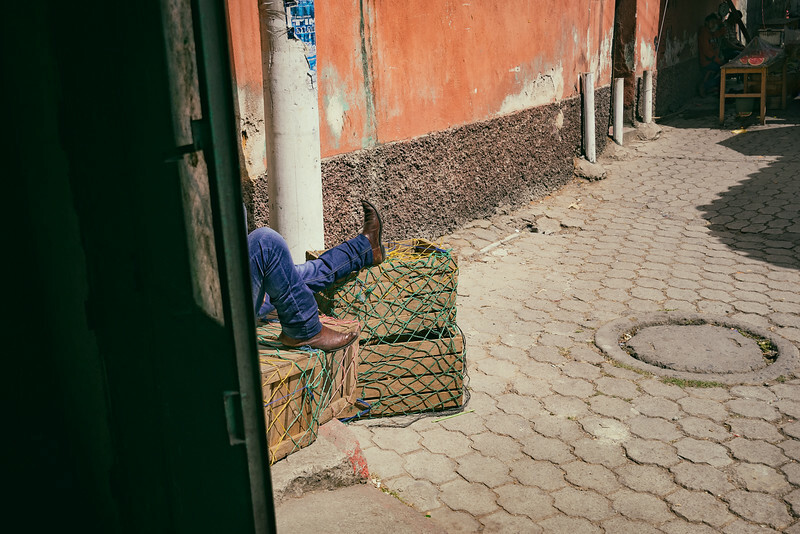 Taking a short break from the hectic Sunday market in Chichicastenango. 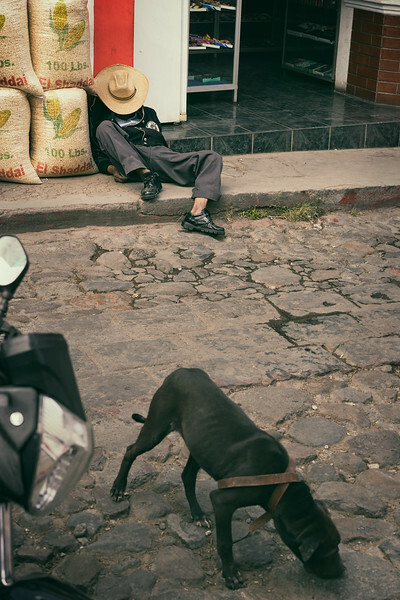 Taking an afternoon street siesta on the streets of Chichicastenango, Guatemala. 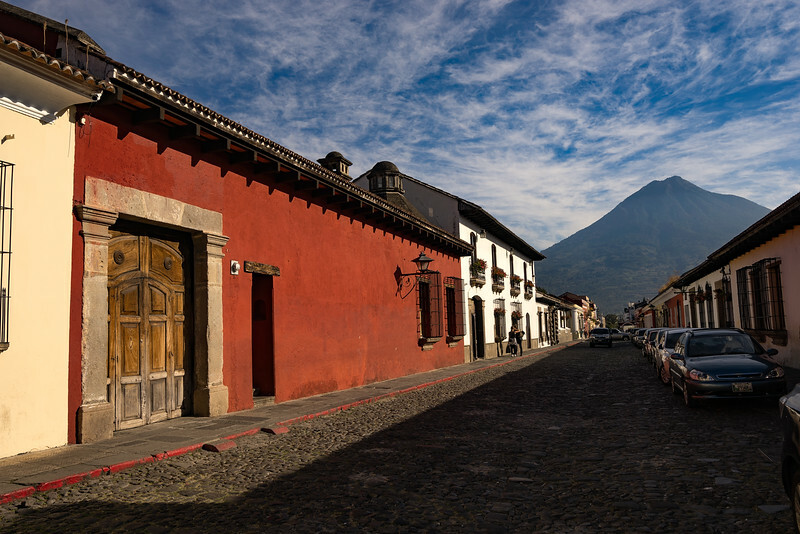 Easily one of the most beautiful cities in the world, the colonial city of Antigua, Guatemala under the constant view of multiple volcanoes including Fuego, Acatenango, and Agua. 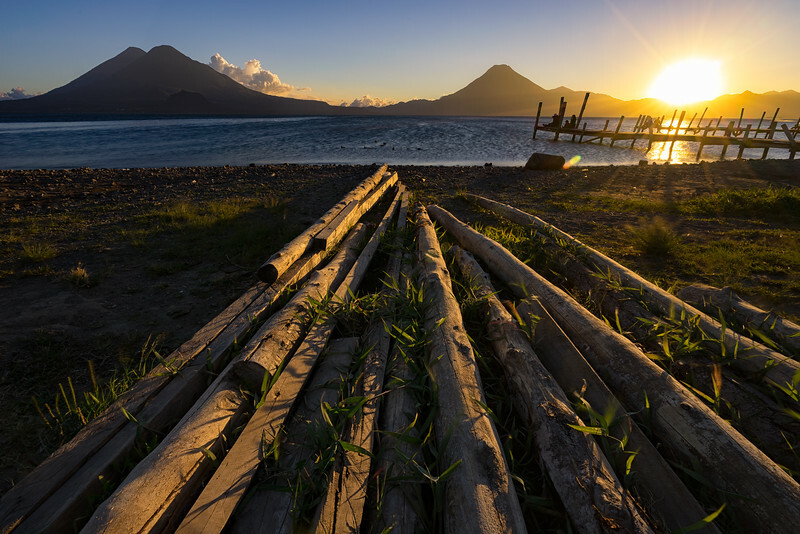 Sunset over looking the wonderful Lake Atitlan from the shores of Panajachel. 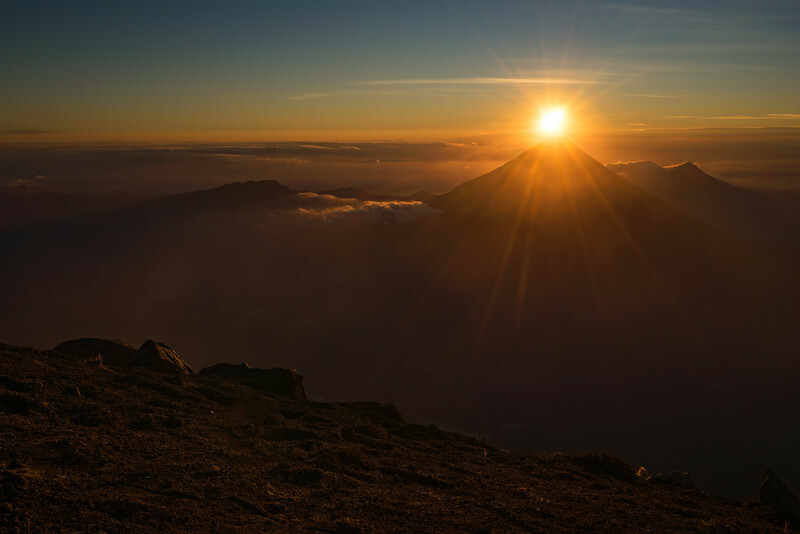 Early morning sunshine over the dormant volcano Volcan Agua taken from the top of Volcan Acatenango near Antigua, Guatemala. 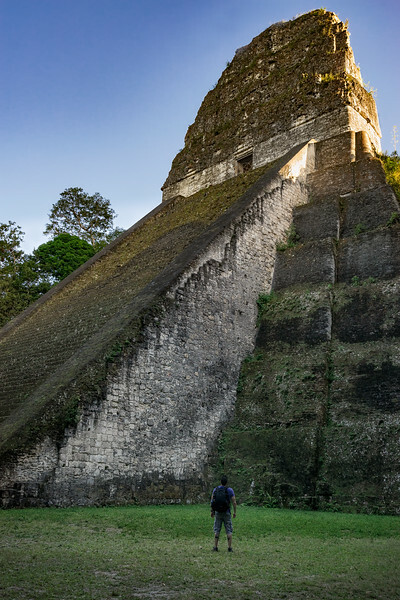 Taken a back from the sheer size and magnificence of the ancient Mayan ruins of Tikal in north-eastern Guatemala. Watching a small eruption of Volcan Fuego from our base camp on the Acatenango Volcano nearby. 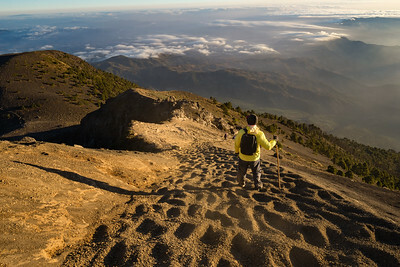 Much easier going down then up in the very soft and unstable volcanic rocks beneath our feet. Acatenango volcano near Antigua, Guatemala. 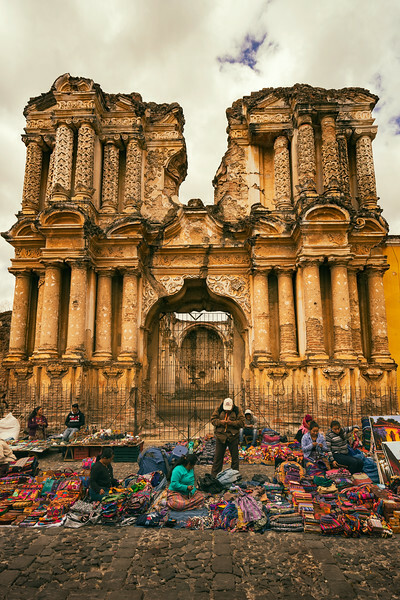 Local Guatemalans selling their wares to nearby tourists passing in front of a crumbling building from an Earthquake that struck the city hundreds of years ago and now stands as a monument in the city.